Colour is a force that can unite a home, or make it look drab and dreary. And while your home will last a lifetime, its décor will inevitably evolve. Keeping abreast of trends in interior design means looking at what designers are doing, as well as checking out the colours and looks that manufacturers are pushing each year. In spring 2016, Pantone published its fashion colour report, and it gives us some clues as to the way people are looking at colour in their lives, and in their homes. For a contemporary look, following Pantone's lead is not a bad idea, when you consider they've been working with colour for more than 50 years. Over the last few years, we've seen a rise in the trend of neutrals in home design, with greys and pale creams being very popular. Now, Pantone is highlighting some altogether different shades. Dubbed 'a unisex pallette', the spring 2016 collection includes Peach Echo, Snorkel Blue, Serenity (another blue) and Green Flash, to name but four. It's a veritable pick 'n' mix of some of the brightest and most summery colours in its portfolio, and the full selection reminds us of beach huts and ice cream parlours. 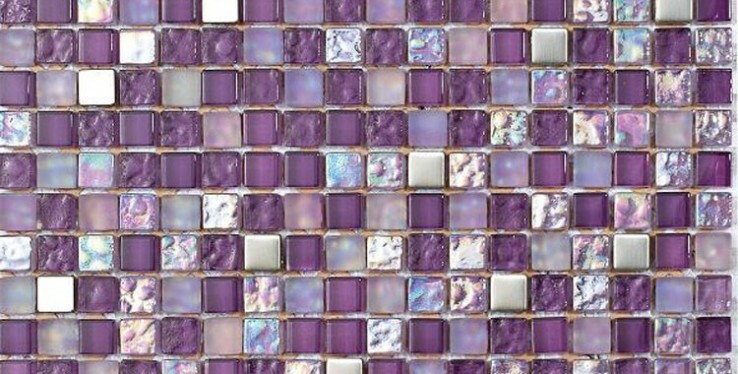 So how can you pair these varied colours with the tiles in your home? The answer is to contrast carefully, and avoid going overboard with your selection. While plain tiles have supported neutral colour combinations well, the key here is to pick a highlight colour with accents in your tiles. This gives you the most on-trend combination for your home, without being overwhelming. Within Pantone's spring 2016 selection, we instantly see some muted tones that would work well in the bathroom. Serenity, Snorkel Blue and Lilac Gray contrast well without being too dark, and would provide a splash of colour in an otherwise fairly monochrome room. In the kitchen, you can dare to be different: team your Iced Coffee with Fiesta tiles, or go all-out with the beach theme, and put Snorkel Blue with Buttercup. Yellow and blue sounds strong, but if you choose your tiles carefully, you can provide a splash of accented colour while maintaining a classy appearance. Green Flash is perhaps the most difficult colour in the set, as it's bold and confrontational: Pantone says it "calls on its wearer to explore, push the envelope and escape". We'd agree, but be wary of tiling an entire room bright green. Instead, go for a mosaic tile that combines strong greens with paler tones. When you're choosing windows, doors and other items for your home, consider using Pantone's suggestions to pull in unusual splashes of colour. You can order most uPVC and aluminium windows in a range of RAL colours, and you can easily convert Pantone to RAL using this free online tool. If new windows are out of your budget, don't neglect this idea completely. A splash of Serenity around a roof lantern helps to tinge the natural light sky blue, while Buttercup painted around the edge of bifold doors will give your garden a sunny outlook.